Posted October 7, 2015 by Tom Gilmore, The Tuam Herald in News. 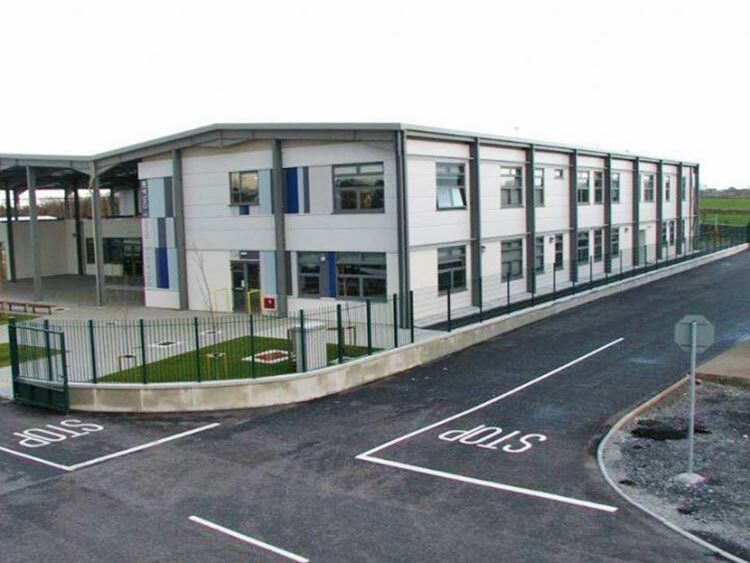 Five pre-fabs secured to provide temporary accommodation for new students at Claregalway’s Colaiste Bhaile Chlair cannot be used. Instead pupils have to be taught in a social space in the building with partitions that have to be removed once the classes are finished. 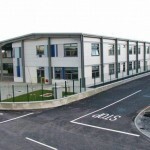 Even though it was hoped to have the pre-fabs on site for the start of the school year, this was stopped by the Department at the last moment when they could not get permission to put them on a new site being acquired for a school extension. At one stage it was feared that some pupils might even have to be sent to classes in temporary accommodation in Galway City but using the social spaces solved it. 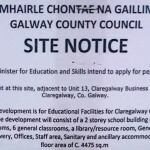 At a meeting of the Galway Roscommon Education and Training Board the CEO David Leahy said that “hopefully this is only a temporary situation” but as the site for the school’s permanent extension has not been handed over yet they cannot locate the portacabins there. He was questioned by member Mary Riordan, a resident of the area and a member of the board of management who expressed dismay at the delay. “Is there a danger that the timeframe for moving the prefabs on site could be as long as twelve weeks, perhaps up to next Christmas even?” she asked. She added that many parents in the area were so long waiting for the school in Claregalway that their children, like her own, had passed school-going age by the time it happened. The CEO replied that he didn’t know how long it would take the Department and the Co Council were negotiating the deal with the landowner and were also involved with the planning application. “We plan to be very careful not to give a specific timeline in case it can’t be met but we are ready to put the pre-fabs on the site as soon as the planning issue is sorted out and we are also aiming to start the permanent extension as soon as possible,” said the CEO. 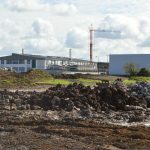 “In the meantime, regarding Claregalway I know that the principal is of the view that he can manage the situation on the site by using the social space rather than moving students to temporary accommodation in the city,” he added. Pat Gilmore said they should say well done to the principal for the way he responded to a difficult situation in association with the Department and to the generosity of spirit of the parents, pupils and staff in accepting the use of the social space at the school and giving it for for classes.